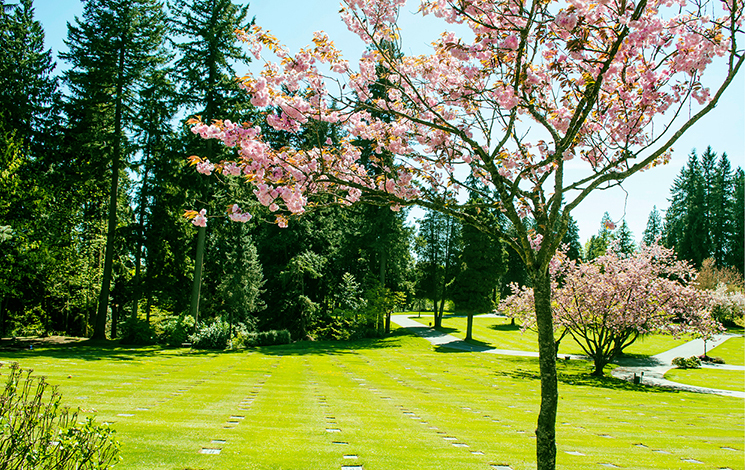 Capilano View offers a variety of interment options including full casket burial, burial of cremated remains and above-ground columbaria niches. Since 1926, the Capilano View Cemetery has offered the residents of West Vancouver a tranquil place of beauty and history to remember and reflect. A seating area including an ornamental water basin and table for preparing flowers and holding small gatherings is now open for use on the north-west corner of the Birch Area of the cemetery. We hope you will enjoy the view! The cemetery is open daily, from dawn to dusk. 8:30 a.m.–1 p.m. & 2–4:30 p.m.
A bus leaves 25th Street & Marine on the second Sunday of each month at 3 p.m. and picks up at all regular stops to Park Royal.